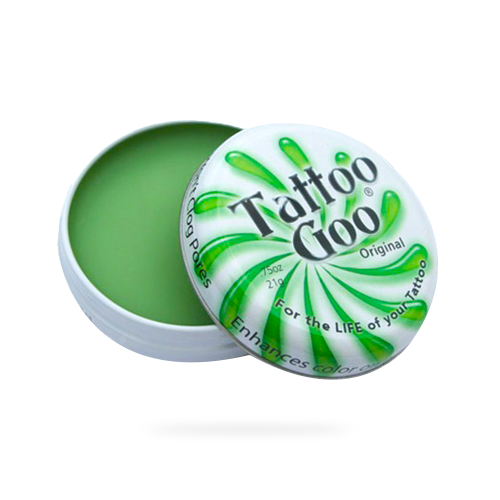 The Original Tattoo Goo in ointment form is the Natural Choice for healing your tattoo fast and for skin that is damaged, chapped, scraped, sun or wind burned. 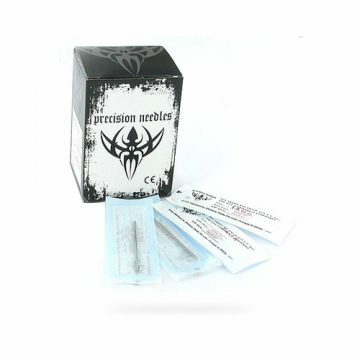 This unique formula based with herbs, oils, and vitamins known for their natural healing properties allows the skin to breath and helps to “soothe” the tattoo as it heals. 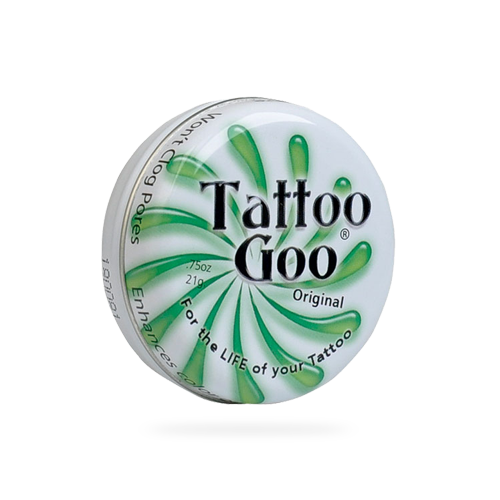 The Original Tattoo Goo in ointment form is the Natural Choice for healing your tattoo. 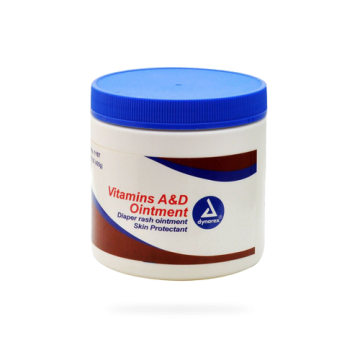 Based with eight different natural ingredients, the “Original” is 99% Natural. 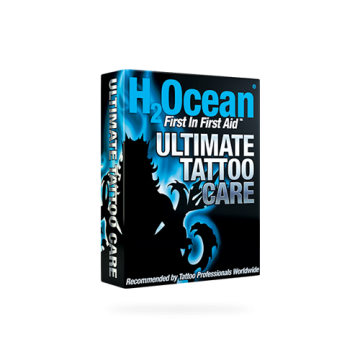 How to care for your new tattoo has been a subject of debate in the tattoo community for many years. 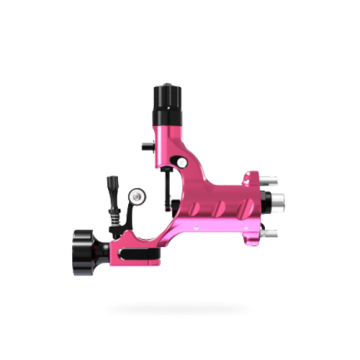 Tattoo artists have had to recommend a variety of products that were developed to prevent cuts, burns, scrapes and abrasions from getting infected and not for the healing of a new tattoo. 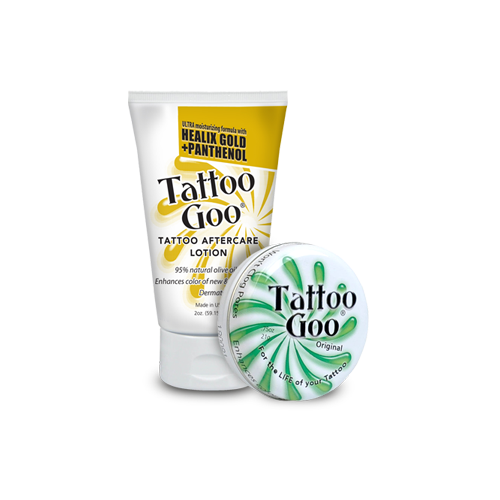 The majority of these products contain petroleum or lanolin which when applied to a new tattoo can clog skin pores causing breakouts and actually delay your body’s healing process. Plus lanolin pulls color from healing tattoos. 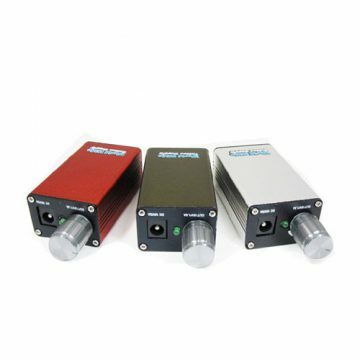 A large number of people also have allergic reactions to these products and application to a new tattoo can cause skin reactions leading to loss of ink and permanent damage to your tattoo. 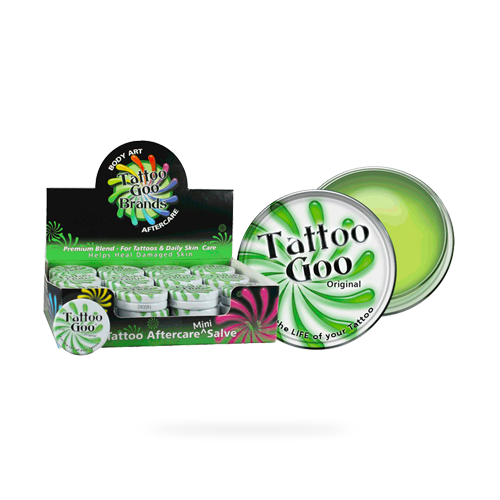 Tattoo Goo contains no petroleum and no lanolin making it an ideal after care product you can recommend with confidence.